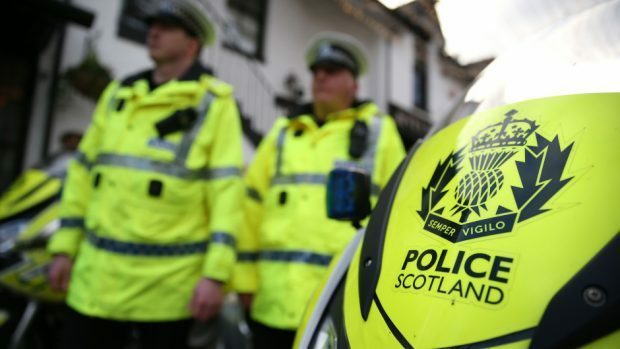 Police chiefs and Scottish ministers have been accused of “dragging their feet” over the creation of a new geographical database to stop officers on 999 calls being sent to the wrong location. North-east MSP Lewis Macdonald has raised concerns over progress on the new bespoke address book for the emergency services. The move was recommended after an inquiry by Her Majesty’s Inspector of Constabulary in Scotland (HMICS) in the wake of a crash on the M9 in 2015 in which two people died after police call handlers failed to pass on an accident report. The creation of a new gazetteer was also viewed as important to mitigate the loss of local knowledge when Aberdeen’s police control room moved to Dundee, with Inverness due to follow in the next few weeks. Critics say a loss of local knowledge is putting lives at risk, pointing to a series of examples of confusion by call handlers. In March, staff at the Tesco on Great Western Road in Aberdeen called police to report a smashed in door. However, call handlers sent police officers to an address of the same name in Glasgow. And Mr Macdonald is alarmed that the recommendation was apparently described as “discharged” after just one meeting to discuss the proposal in January 2016, and believes no further meetings have been held since. The Labour representative has also questioned why the services do not switch to using Ordnance Survey’s Address Base system, which he said was free and had proven effective. He has now written to Justice Secretary Michael Matheson, HMICS and Police Scotland to raise his concerns. Mr Macdonald said: “The problem is that Police Scotland do not acknowledge that ICT (information and communications technology) issues have been resolved by other forces in other parts of the UK so they can use that Address Base system. Responding, police superintendent Graham McInarlin said: “Discussions continue between Police Scotland, other emergency services, the Scottish Government Improvement Services and Ordnance Survey, to explore the possibility of a shared gazetteer. These discussions will continue. “Further, Police Scotland will always participate in any development of improvement of shared services and are supportive of considering any gazetteer that further meets our operational needs. A Scottish Government spokesman said: “HMICS has recognised the ongoing efforts of Police Scotland to strengthen the tools available to police call handlers, including the Scottish Police Gazetteer.